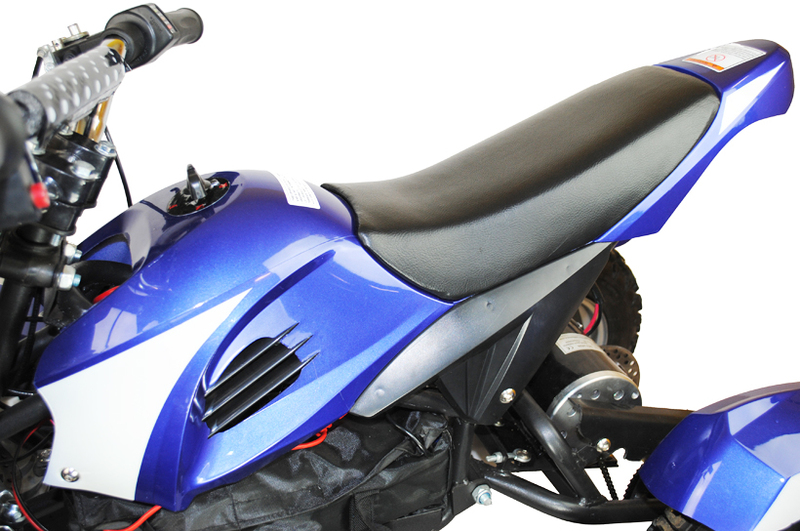 This little quad bike is the ultimate gift for kids. 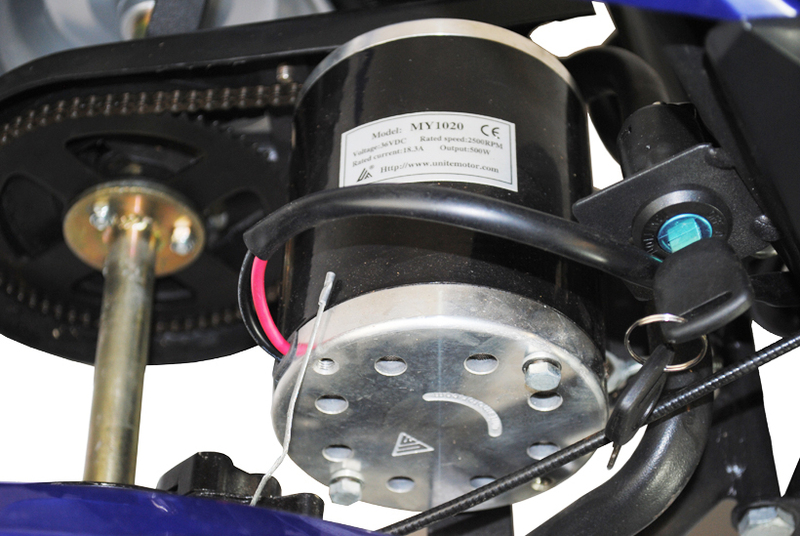 It features an electric motor so no messing around with fuel and is very easy to use. It has both forward and reverse with a key operated speed limitation setting for younger children. 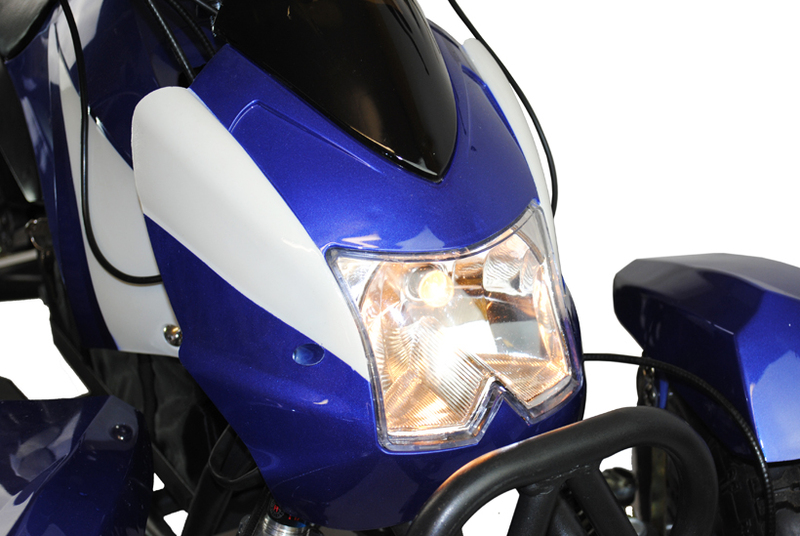 The ATV is feature packed including a battery level indicator on the handlebars and a working front light. Simply select forward or reverse and then twist the throttle to start the fun. With this product, you earn 339 loyalty point(s). 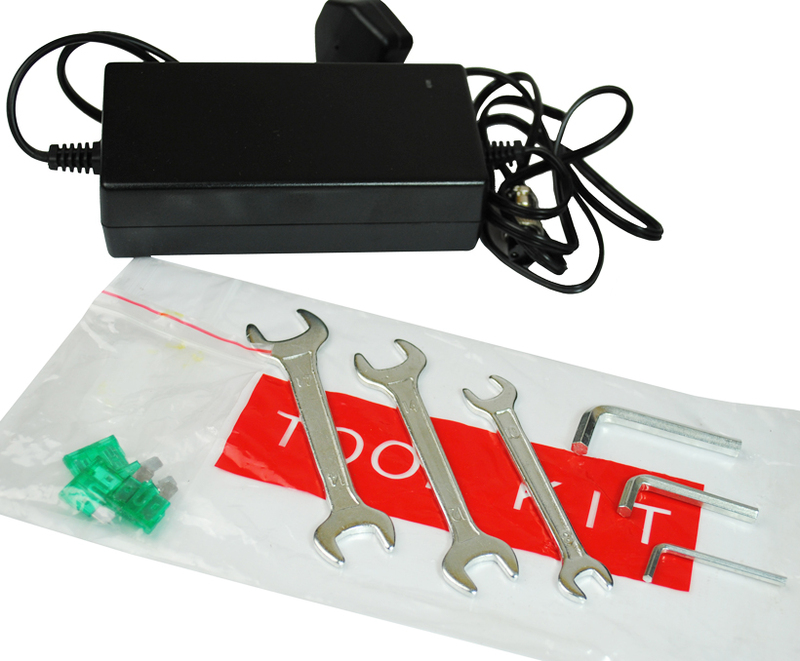 Tool kit for minor finishing assembly included and UK charger. 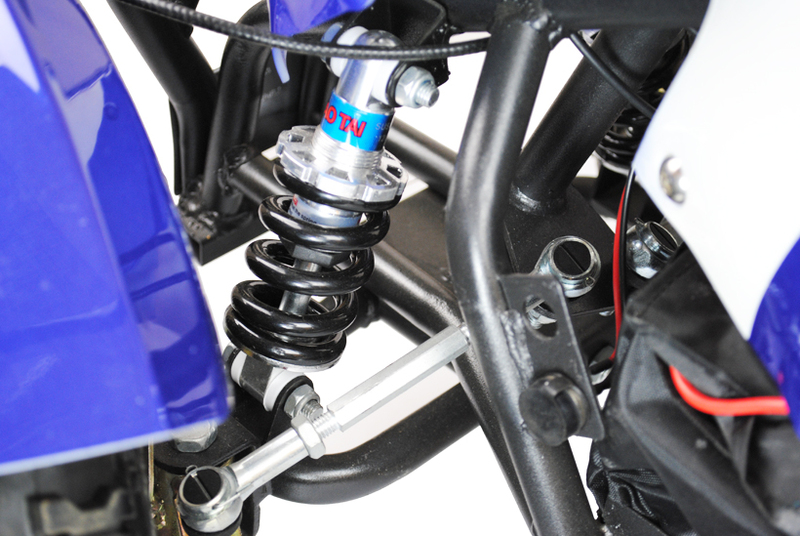 Large metal coil over front shocks. Key operated speed limiter to reduce maximum speed for younger children. 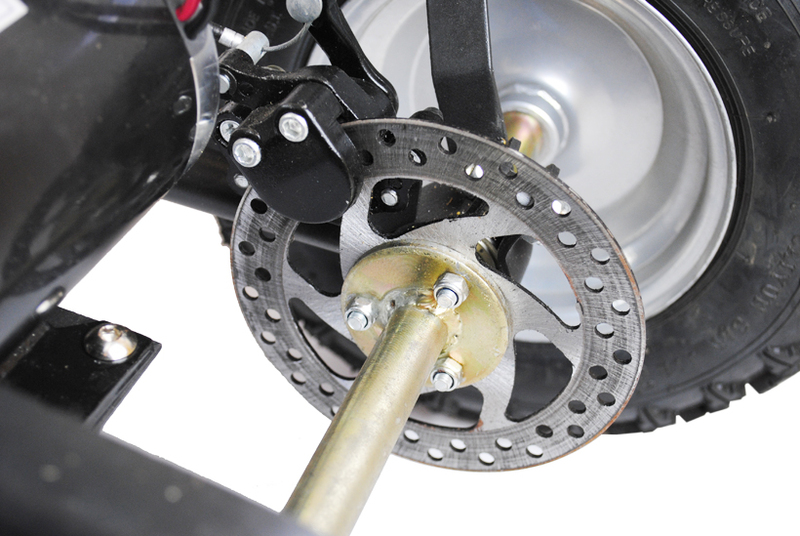 Vented rear brake discs for maximum stopping power. 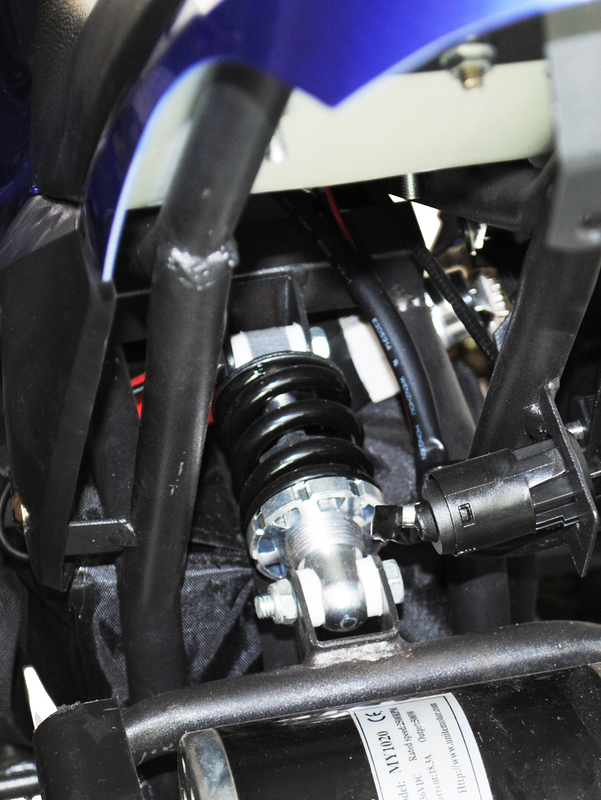 Central large rear shock under the seat. Padded fabric seat for added comfort. 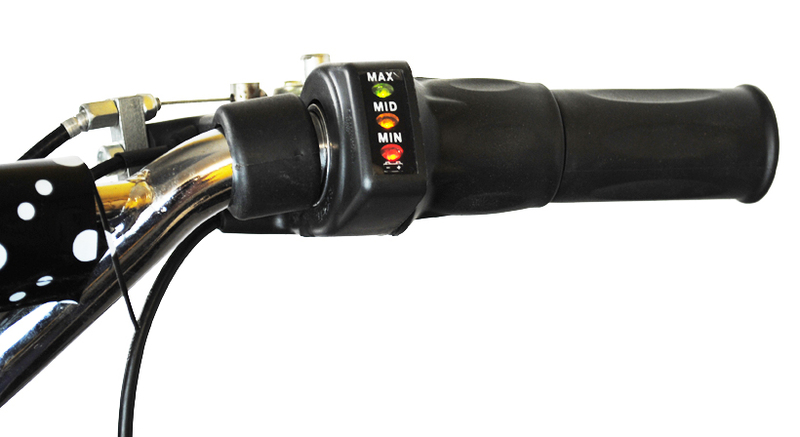 Twist throttle with LED battery level indicator. Minor assembly required. Please note box is very heavy. Hello - thank you for your question. Yes, these should be back in stock before Christmas. Hello - thank you for your question. Unfortunately we do not have a specific date as to when these quad bikes will be back in stock however i would advise you to add the model to your wish list to enable us to notify you when they are back in stock and available for purchase. I hope this helps you! Hello - thank you for your question. The battery for this quad is 12AH / 36V. I hope this helps you! Hello - thank you for your question. You do not need to wear a helmet however we would recommend doing this for safety. I hope this helps you! Hello - thank you for your question. Unfortunately we currently only have red in stock however we do also sell blue. I hope this helps you! All items are delivered by courier. This scooter would be delivered by UPS. Hi, all of the main costruction is already carried out. 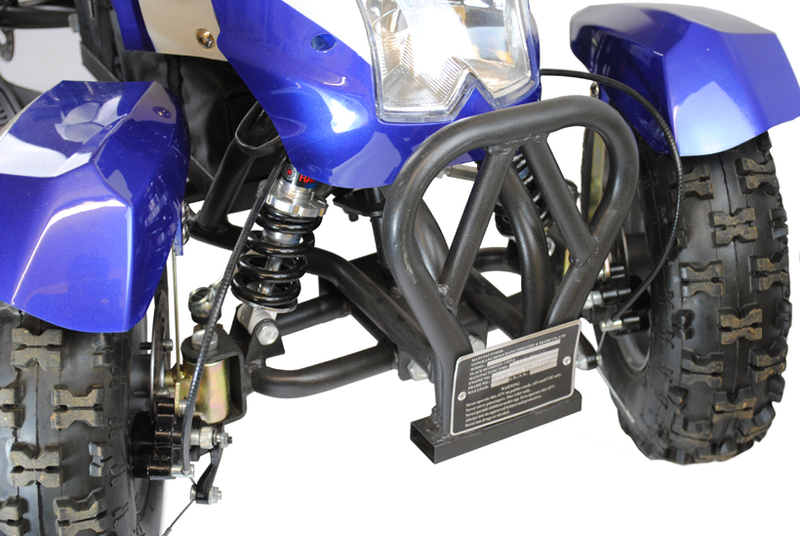 It will only need some minor assembly such as attaching the handlebars and wheels. Hi, Thank you for your question. 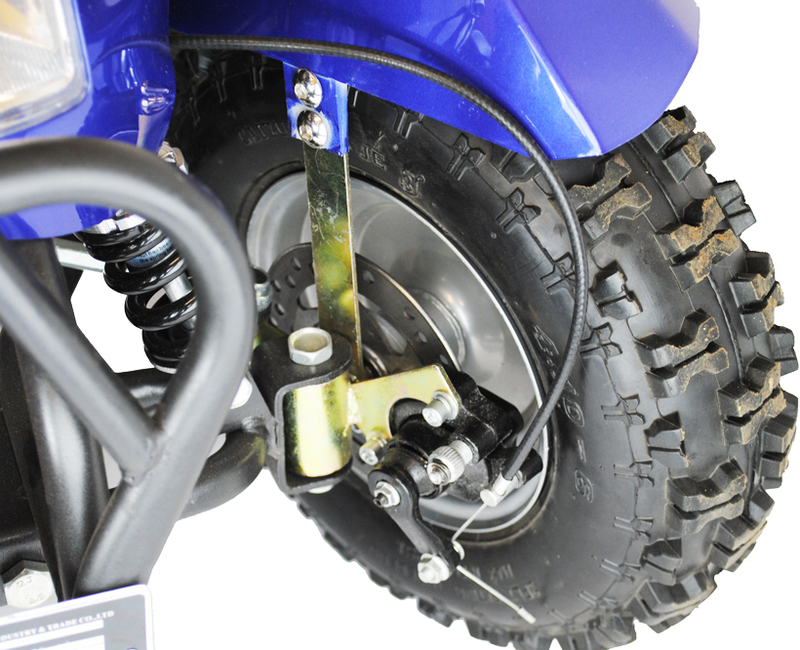 The max range on the quad bike with one charge is around 12 Miles. Can these be picked up from the shop? Hi, Yes, these can be collected at the warehouse door, as they offer a cash at the door service. I have this quad in blue (I have had it a few years) the batteries no longer charge. Where can I purchase new batteries as I cannot find them on this site. Hi This is suitable for age 4+ and requires adult supervision, the maximum height is 5 ft and weight is 90 kg Hope this helps! The top speed is around 14 mph. 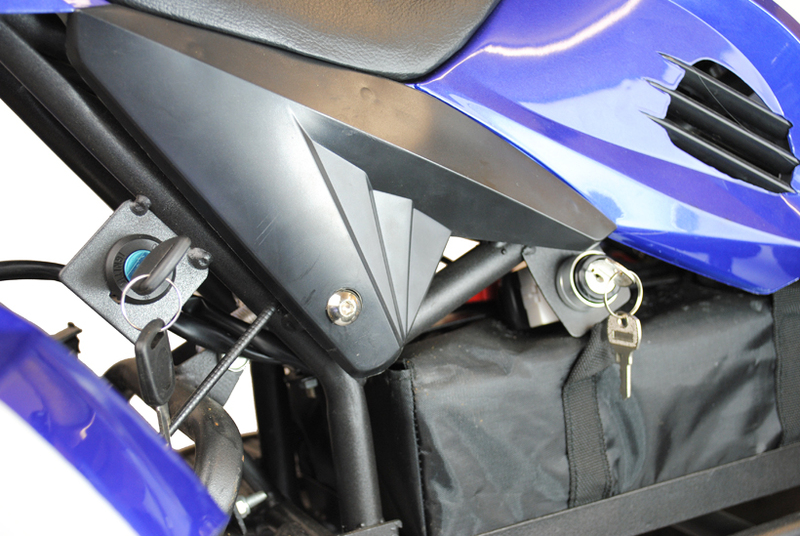 Yes it is very easy to restrict the speed, this can be done via a key at the rear of the quad. The lowest speed is 4mph.